Project Description You will be researching contact information for various companies and people. This includes phone numbers, E-Mail Addresses, and Physical Addresses. You will be expected to recieve a company name, and find the company main line, E-Mail Address, and also a contact (CEO, President, CFO, Dir/V.P. of Operations within the company, and his/her extension,direct line and email address. It will generally be the CEO/President, CFO or Director of Operations. If it is a property owner, you may also be asked to search for basic information, such as building size, building or land owners, and then searching for the companies contact information. You must be somewhat proficient with Excel. You must be capable of showing good judgement, and able to extrapolate data. This requires critical thinking. You must be willing to use search engines, such as "Nexis" and "Land Vision" via remote desktop. These will require some instruction time to learn how to use. Hello, Welcome To My Profile I'm ANZARUL ISLAM a professional Virtual Assistant. I'm here to help you to promote your business with 100% satisfaction. I will provide you fast and reliable service. Please message me before placing an order to avoid any confusions. 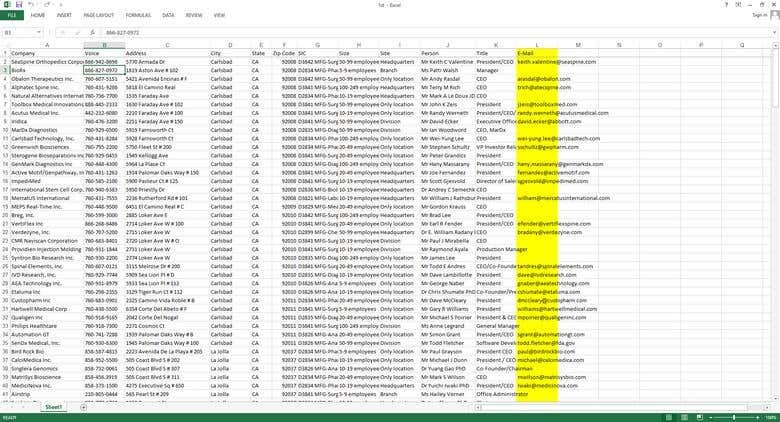 I'm offering following services Copy Paste Data Mining Lead generation Manual typing PDF to word/excel Image/scanned page to word/excel Contact details search Google spreadsheet Social Media Marketing Online/offline data entry Property data collection Linkedin data collection Instagram data collection Amazon product data collection Internet research/ Web research Email finding/ Email List Mailing list in Excel/Google Spreadsheet Product listing(WordPress, Shopify, Magento) AND All kind of Virtual Assistant, Admin Support or Office Assistance in any type of data entry Jobs at your fingertips. Why you offer me I will offer you fast and accurate service. Unlimited revision Fast response( 24 hours online).